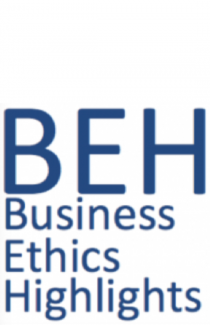 One of the present writer’s pet peeves with the business ethics literature is its conception of ‘business’. In thinking about business, the business ethics literature focuses almost exclusively on outliers among outliers among outliers. First, it focuses on successful firms, which are outliers among the set of all firms. (Most entrepreneurial ventures end in failure, not success.) Second, among successful firms, those that grow to such an extent that their shares are traded on public exchanges are outliers within the set of successful firms. Third, among firms whose shares are traded on public exchanges, those that are listed in the Fortune 500 or the S&P 500 are outliers among the approximately 3800 listed on the major exchanges or NASDAQ. Consequently, when the word ‘corporation’ makes you think of third-order outliers like Apple or Walmart, rather than the thousands or millions of firms doing business in the corporate form that may be struggling to get by, it gives you a skewed sense of how much ‘corporations’ ought to be paying in income taxes. Looking more closely at the 2012 data (Table 18) and restricting the sample to the types of companies that the GAO included in its report, my own analysis finds the following. In 2012, out of 1.6 million corporate tax returns, only 51% were returns that had positive “net incomes,” and only 32% were returns that had positive “incomes subject to tax.” These are both measures of pre-tax income. However, while “net income” generally refers to the net profit or loss after allowing for certain usual deductions (such as depreciation allowances, compensation payments and interest), “income subject to tax” allows companies with positive “net incomes” to claim an additional deduction as a result of prior-year operating losses. These losses can be carried forward to offset taxable incomes in years when firms are making a profit or have positive net incomes; this is known as a net operating loss deduction (NOLD). For 2012, the data show that approximately 20% of companies with positive “net incomes” (or profits) claimed a net operating loss deduction resulting in a zero tax liability.